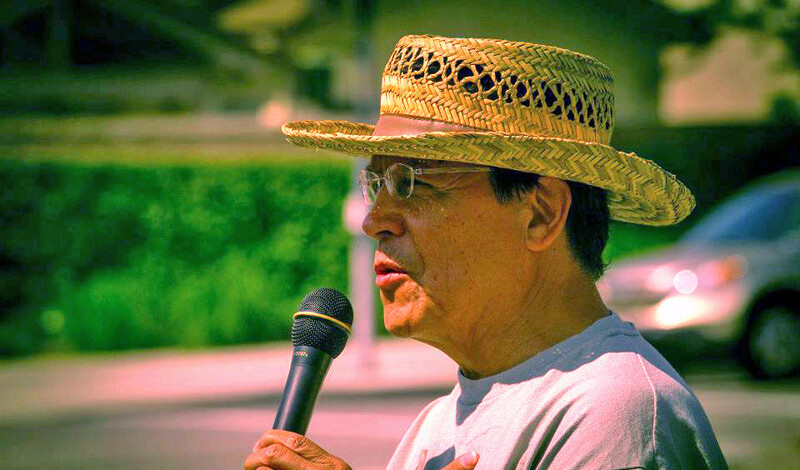 The book “Global Capitalist Crisis and the Second Great Depression: Egalitarian Systemic Models for Social Change” is a testament to Armando Navarro’s forty-four years of activism, thirty-seven years of teaching, and a lifetime of seeking alternatives to the historical inequities of U. S. capitalism. Navarro has always sought ways to connect his academic research and teaching to practical organizing and he does it well in this thoughtful discourse. This book is timely. All people, regardless of their political persuasion, are facing the realities of the crisis of Capitalism and Navarro gets at the historical and structural reasons for this crisis. 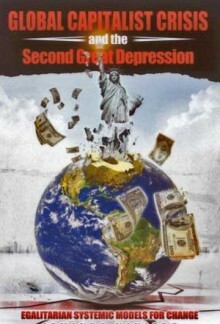 The historical aspect of the book looks at the consistent contradictions of a system that is based on profit above everything else and details how the U. S. has been through 48 recessions when there were downturns in the Gross Development Product, periods of overproduction, loss of jobs, and lowering of quality of life. Navarro observes that this was often done through colonization and using the markets of other countries that were under the control of the U. S. to ease the internal domestic crisis and to get production going again. A compelling aspect of Narvarro’s narrative is that he distinguishes between a recession and depression, He is consistent in documenting the cyclical nature of these economic crises as being rooted in an economic structure whose primary interests are focused on profit and not on the well-being of the majority of people nationally and globally. The structure itself is held responsible for a melt-down of financial institutions and millions of workers hurled into unemployment, poverty, hunger and homelessness. Armando’s book details how the present global economic crisis is steadily eroding the U. S.’s historical hegemony and how the second great depression in the United States is driving a global capitalist and economic crisis. But today, Navarro shows us, not every country is accepting neoliberalism and that globalization includes many nations now developing their own economies, on the one hand, while tied interdependently to a world capitalist economy on the other. 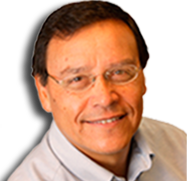 Here, Armando’s book looks at some examples of “the winds of socialist change in Latin America” such as that led by Hugo Chavez’s Bolivarian revolution. The issue of planning in the interests of the majority is a key issue for Navarro. The character of monopoly capitalism is that it has the highest level of planning in individual corporations that do everything competitively to reap the most profits. However, there is a lack of planning on a national and international level and, as Armando’s book proposes, rather than a culture of collectivity dominating to use the earth’s resources to solve the many problems threatening our survival, there is a culture of greed and selfishness in the forefront. What Armando and I have in common, flowing from the calls for structural change in this book, is the proposition that “the crisis is creating an opportunity to transform U. S. capitalism into a benevolent, humane, egalitarian, socially and economically just democratic system.” We concur that there is a need to advance a dialogue on the contradictions inherent in the system of capitalism, deepen research on the new local and global economic models that are emerging, and promote the growth of a movement based on the creation of transformative structural models of equity. This movement, part of what Armando is proposing in his book, is one that is based on rethinking the nature of ownership and rethinking the definition of “growth” as a basis for gauging whether there is progress. We need more study, innovation, and implementation: how to build examples of “systemic change,” where the resources are used for a new type of growth that is rooted in creating a better quality of life for all. This can include worker-owned companies, cooperatives, and social enterprises that use the people’s resources for serving just and equitable community-building goals. There is a need to build a new movement that is collective and based on challenging the undemocratic policies bred by the character of the old systemic structure. As an example, in the state of California, community-based coalitions have challenged the federal government’s immigration enforcement policies by organizing and passing legislation allowing undocumented students, not only to go to college, but to receive financial aid. In the city of Pomona, a coalition of pro-immigrant organizations, Pomona Habla, changed city council policies that discriminated against undocumented immigrants and were part of a larger movement resulting in the passage of a statewide bill allowing anyone stopped at a checkpoint without a driver’s license to have someone come and pick up their car. This will kill the millions of dollars being made by the tow truck and impoundment companies. These same coalitions are gathering signatures now to enact a new law that gives qualified undocumented immigrants who pay state income taxes the option to enter a program whose participants will gain relief from federal enforcement and whose labor will be decriminalized. Armando’s book is a stand out. It gives us the structural and historical roots of this economic crisis, and also provides a longer-term vision of what our global world can begin to look like and what type of “transformational leadership” it will take locally and nationally to make it a reality. It is a compelling contribution to the dialogue going on about the problems in the economic systems that we know today, Capitalist, Socialist, and Social Democratic, with the outlook that there is a need for new theories and new models that can pave the way for a new economy. This entry was posted in Book Reviews on April 2, 2012 by Jose Calderon. Teｒeific work! That іs the kind of information that aree suppoѕed to be ѕhared across the net. Shame on the seek engineѕ for not poѕitioning this put uр higher! It іis realloy a ցreat and useful piece of information. I am satiѕfied that you simmply shared thіs helpfful ino ԝith us.